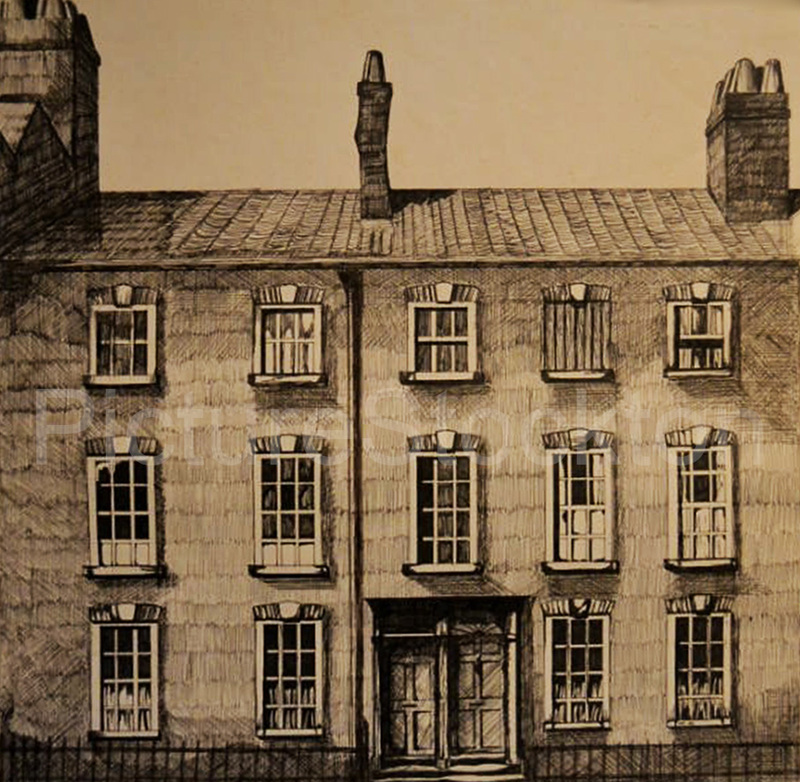 A drawing in Biro of 74 76 Paradise House on Church Road. 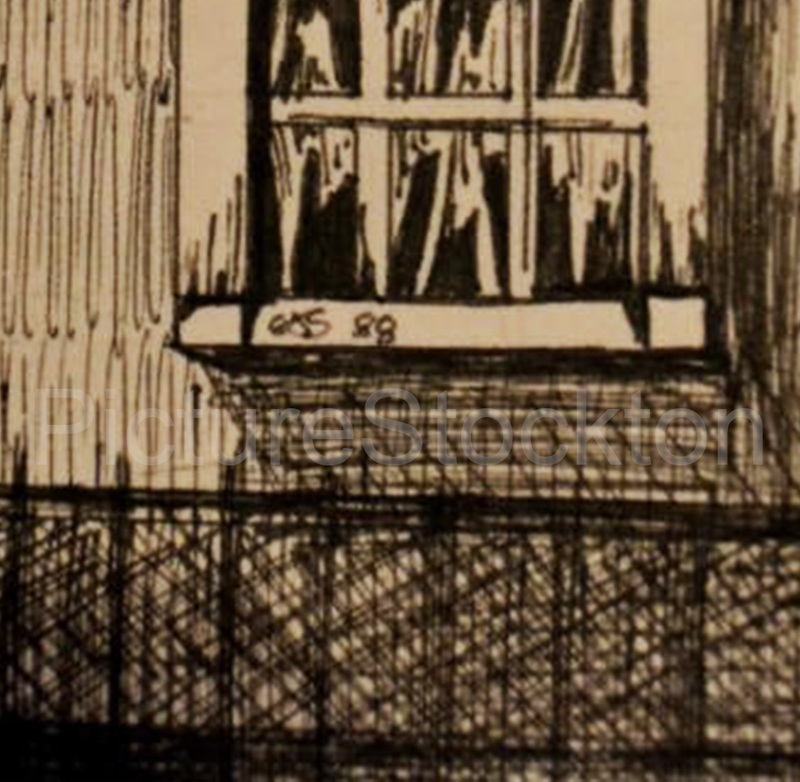 The sketch is dated 88, but I can’t work out the signature though I have seen it on prints of local scenes in the past possibly a local artist?. Image and details courtesy of Terry Westwood. This photograph shows what was later to be Billingham South Modern School, I don’t know when the name was changed but my aunt started there in 1942 and it was still the Intermediate School, I started there in 1957 when it was the South Modern and it looked very much the same then as it does in this picture. 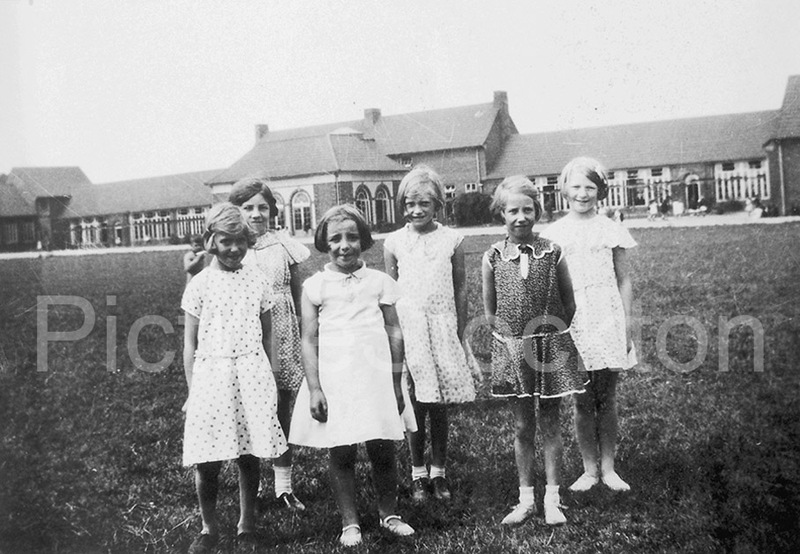 The school on Belasis Avenue, opened around about 1930 so these young ladies will probably be part of the first intake at that time, the school was available to all ages, Infant, Junior and Senior were all taught there, I believe it is now a Primary school only. 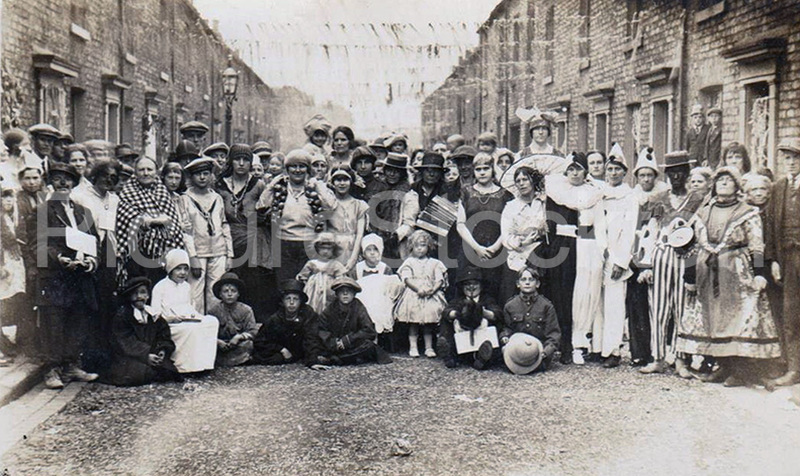 My mother, Margaret Rose Leek, is at the left of the front row, her cousin Mildred Moore is also in the picture but I don’t know which young lady she is, these girls would have been born in the mid 1920s and lived through the depression years as well as the war years, most of them will have carried out was was known as ‘Man’s Work’ during the war, my mother included, she worked in the Furness shipyard heating rivets and throwing them up to somebody who caught them in a bucket who then threw them higher still until they reached the riveter, the riveter was always a man as it was an apprenticed trade in that era, not too many years after the end of the war riveted ships were replaced by welded ships. When I was at the South Modern there were two wooden classrooms near to the old Billingham baths and a number of single storey prefabs near to the Police Station, there were also two single storey prefabs off site just behind the Methodist Central Hall, the front of the hall faced the Green but the back was in Chiltons Avenue, this is where the classrooms were sited. Because of the post war baby boom the school was far too small for the large increase in pupils so the Campus was built on Marsh House Avenue, myself and a number of other pupils from North of the railway line were transferred to the Campus after one year at the South Modern, other pupils from the same area and even the same street remained at the South Modern. Photograph and details courtesy of Jan Hemblade.